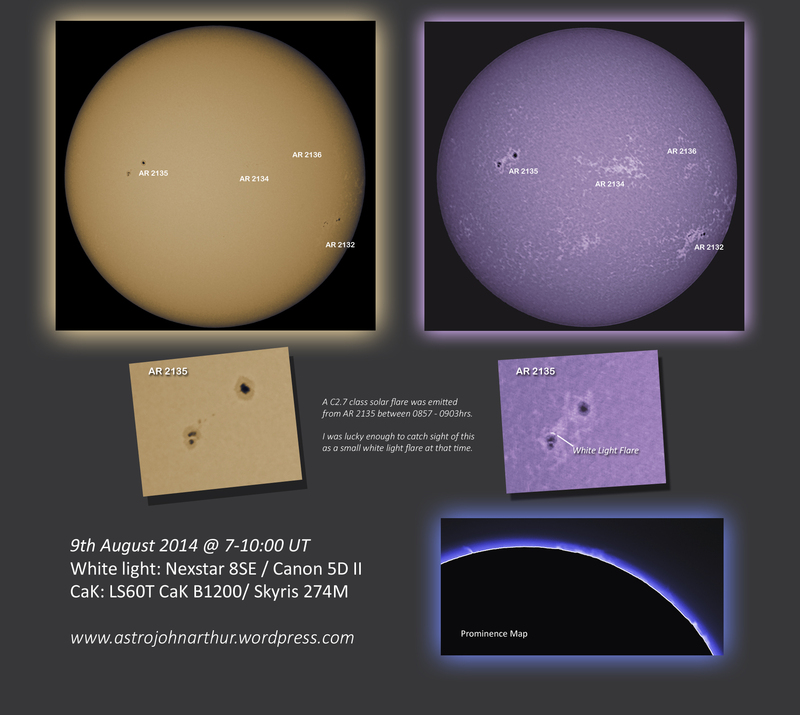 If you go back to the beginning of this blog, I spent about a year doing visual astronomy with a Nexstar 8SE scope on a AltAzimuth mount which was great fun and quick to set up and take down. The Nexstar is a a Schmidt-Cassegrain compound telescope which gives a highly magnified view (2000mm focal length) with good light catching ability (200mm aperture) but is a good bit dimmer or slower than refractors. As time went by, I got more interested in the photography aspects and so moved to the faster refractors. However high magnification can be useful for looking at the Moon and a dim view through the scope is offset by the very brightness of the Moon itself. Ive been waiting for an opportunity to put my old Nexstar 8SE on an equatorial mount and combine it with a good quality CCD camera and a red/orange filter. Last night seemed ideal and overall, Im pleased with the results. For some reason, Firecapture wouldn’t let me capture more than 783 frames of video at a time whereas ideally, I would like to have stacked the best 3-5% of about 2000 frames and the atmosphere was fairly turbulent but overall, I am happy. Will be interesting to compare repeating this with my Equinox 120ED refractor – I will need a x2 Barlow lens to achieve similar magnification – 900mm x2. The Alpine valley (L19) is seen centre top. Eratosthenes is the lowest and leftmost crater. Difficult to see here but there is a dark line between 2 craters – almost like a hair on top of the image. This is the Straight Wall (L15) a 400m high scarp which casts a shadow. Alphonsus crater (L47) is to the right of top centre. 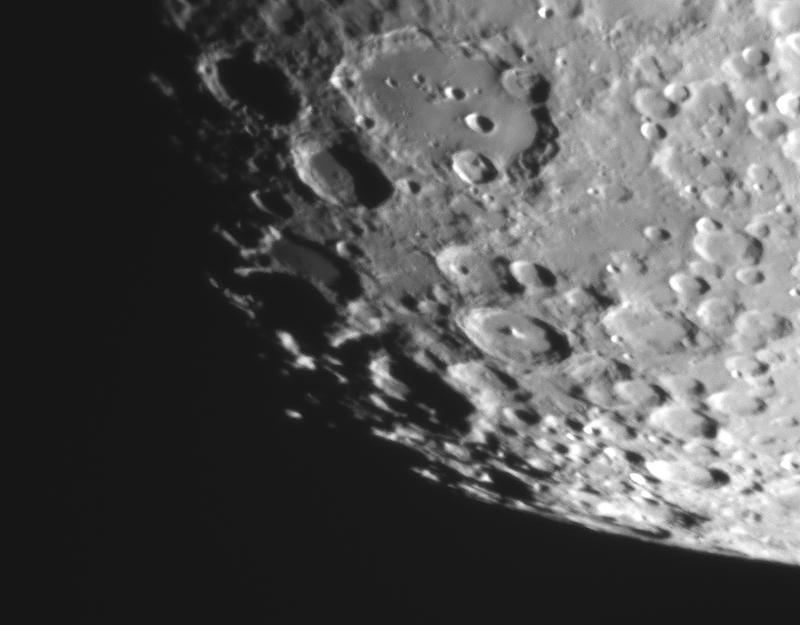 Clavius is (L9) in the Lunar 100. 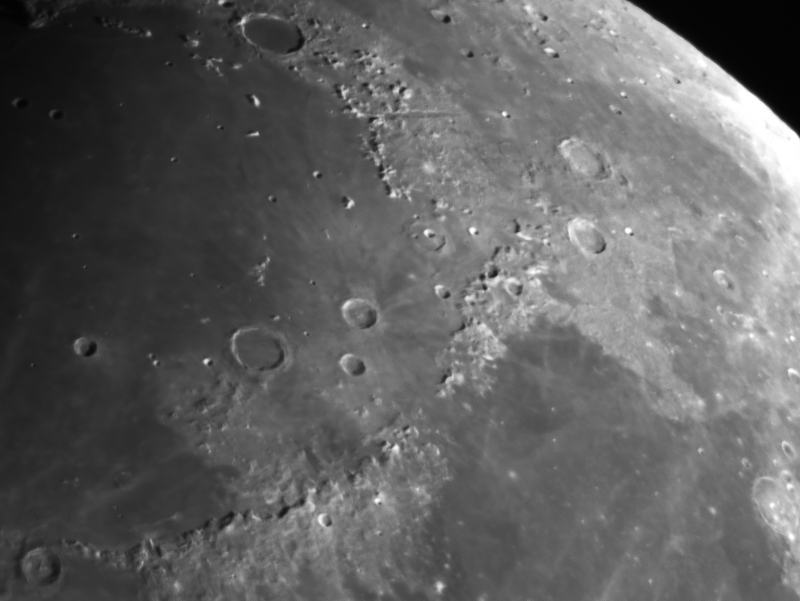 In this image I can see all the subcraters down to the smallest set which are blurry. 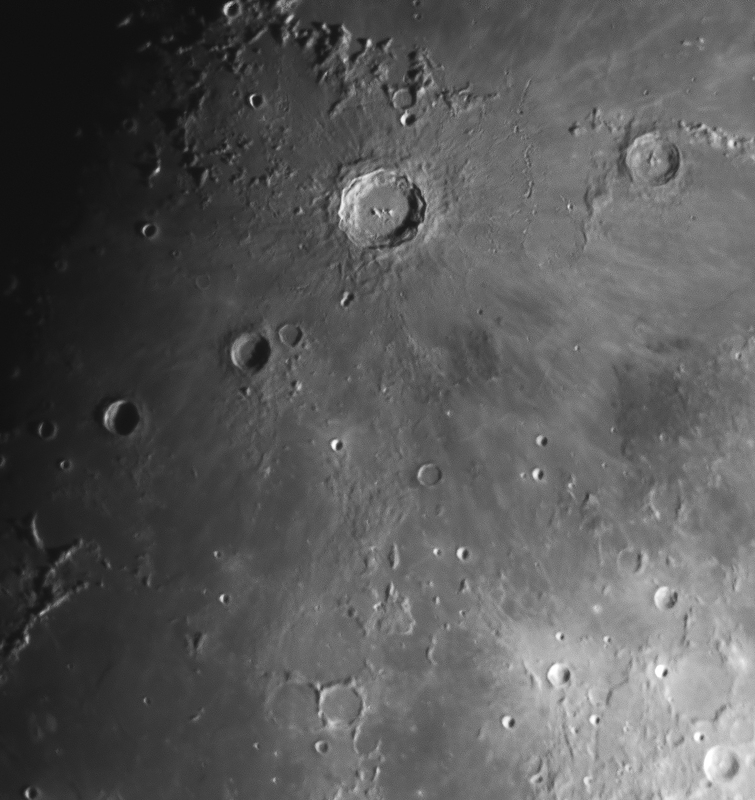 A very small crater surrounded by dark lava at 5 oclock to Copernicus is Copernicus H (L74). 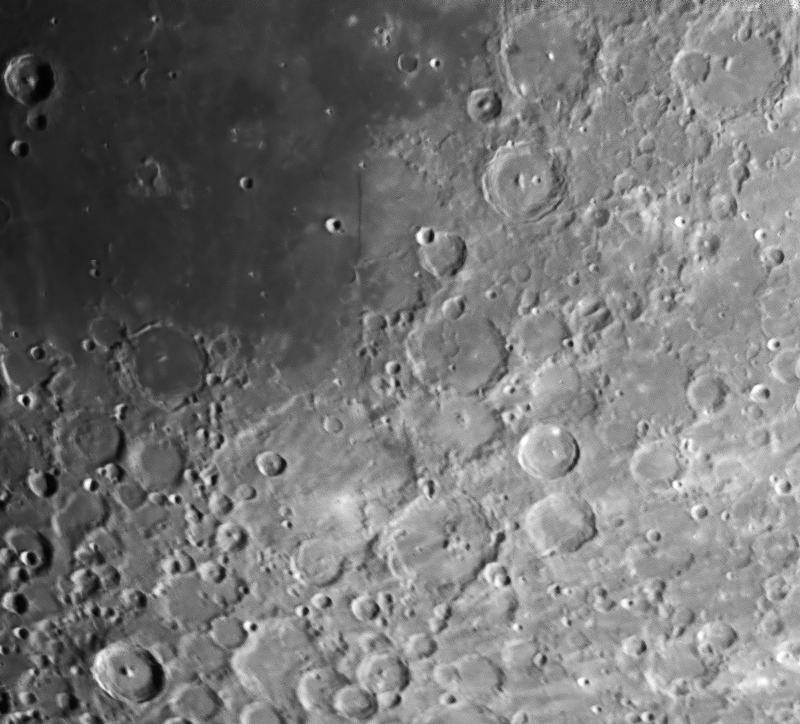 Near the bottom of the image are two side-by-side eroded craters with a larger eroded crater above – the larger crater is Fra Mauro (L17) it is filled with ejecta from other impacts. Solar flares are mostly comprised of X-Ray and extreme UV radiation, sometimes they can leak over to visible light. Observing the visual component of a flare is said to be quite rare, so very happy to have picked this up. Even the Sun is too hot to be active. Taken using SAFE Kendrick solar filter. NEVER look directly at the Sun. Nexstar 8SE with Canon 5D mark II. ISO 100 at 1/400 second. Enlargement of Active Region 2121 showing dark bipolar sunspot pair, grey penumbrae and network of lighter faculae towards the limb. 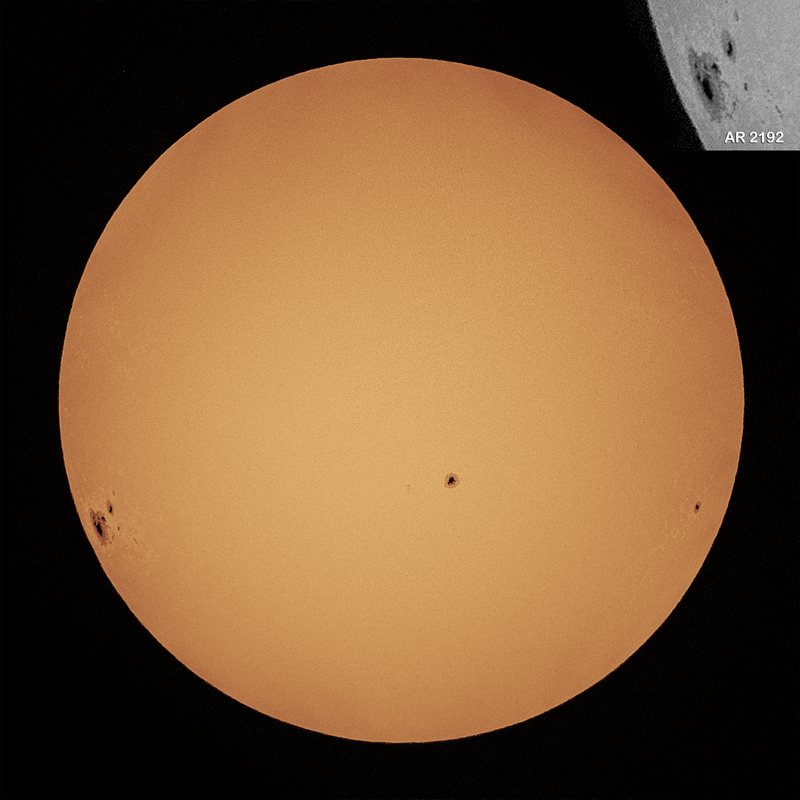 The larger sunspot has a bright linear feature, possibly a light bridge. 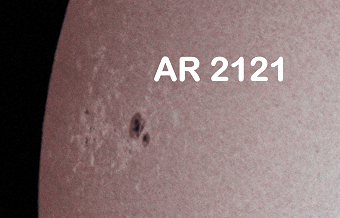 AR 2121 produced a C2 flare on 24th July 2014. 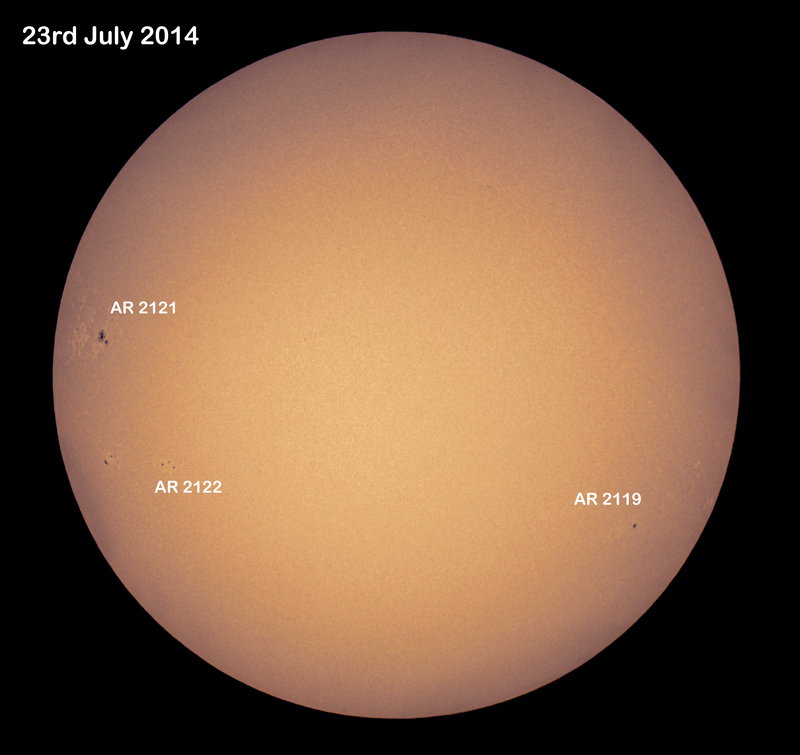 AR 2121 produced a C2 flare on 25th July 2014.